A lot of people have used EFT (Emotional Freedom Technique) or basic TFT tapping sequences and achieved amazing results. Paul McKenna has had huge success using basic self help tapping sequences in his books and programmes. I have trained hundreds of therapists over the years in TFT and have been honoured to have assisted the one of the most famous advocates of TFT, Paul McKenna on his UK seminars teaching TFT techniques. Paul has integrated TFT in all his self help therapy programmes as featured on TV and in his best selling books. Paul McKenna uses a general TFT process in order to make it easy to teach and use. However, I have been trained to an advanced diagnostic level enabling me to diagnose a sequence specific to you and your emotional problem. In additional to this specialist therapy, I also use other therapies such as the Emotional Freedom Technique (EFT), EMDR (Eye Movement and Desensitisation Therapy) and Havening to support the diagnostic process of TFT. What is the difference between TFT and EFT? John's 'Freedom Formula for Change' is both innovative in style and content. John blends humour and straight talking common with the latest psychological approaches in such a way as to create a powerful resource for change. 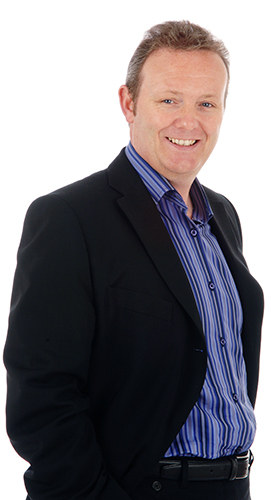 John uniquely goes a step further in his programme by providing an integrated support package, which is available worldwide, using my most accurate diagnostic tools to identify individual energy toxins and help people overcome the inevitable emotional baggage that is often in the background of any problem. Furthermore, John has integrated one of the key solutions to psychological reversal in most of the exercises and techniques. This is a reversed electrical polarity in the body that blocks natural healing and psychological treatment. I believe the existence of psychological reversal is probably my most important scientific discovery.